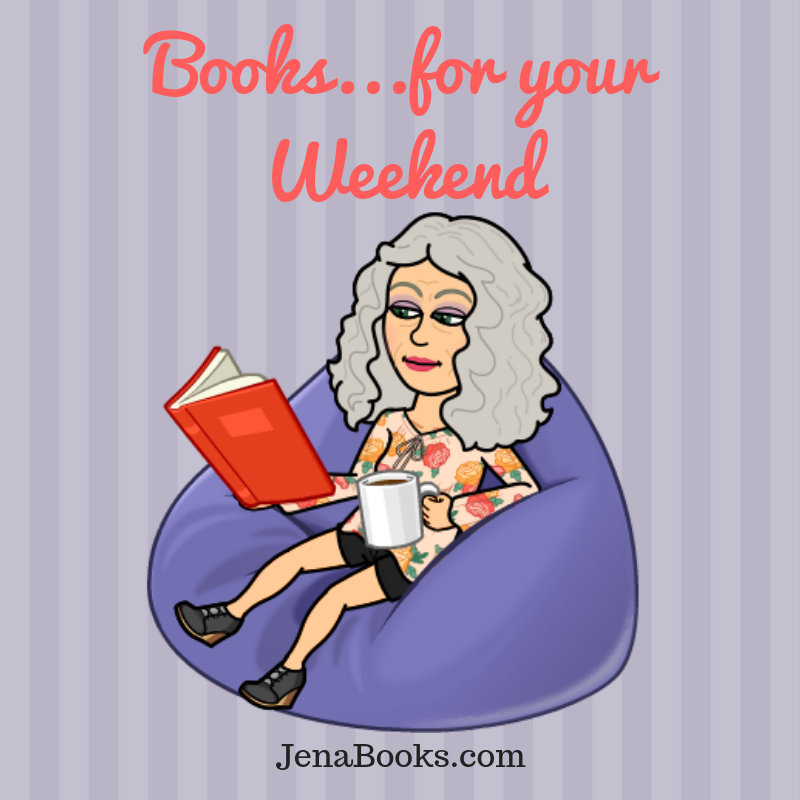 The holiday season is over, so take time to relax this weekend and enjoy a book that will get you thinking. Perhaps try a new genre? I’m sharing- a memoir of a big life change, a whimsical women’s fiction story, and even a dystopian fantasy. In January, 2015, nearing 50 years old, Tommy Tomlinson started his weight loss journey. He bought a Fitbit and vowed to track his calories- eaten and expended each day. His goal was to burn more calories than he ate. He weighed 460 pounds. His diet plan was simple. But he added something more complex to it- he decided to look within and examine his own life to see if he could learn why he weighed 460 pounds. This memoir covers his first year of his plan. His reports of his weight each month are terse- what he weighed the month before, what he weighed at the end of the month, and the difference. His honest search to learn why he gained weight and why he continued to live in a way that caused him so much pain is the heart of this book. Fans of Tommy Tomlinson, an accomplished journalist know that he is a warm and dedicated writer with a flair for engaging his readers. His stories of growing up in a close Southern family that loved all Southern foods are delightful. Mr. Tomlinson is honest. He knows he’s fat- he’s reminded of it each day. The search for a sturdy chair, the seatbelt extension, the looks and remarks of bystanders, the difficulty in hiking with his wife, are all challenges. Was he someone worth saving? By the end of the story, he hasn’t lost as much weight as you might have thought he would. In fact, he’s gained something- an understanding himself. I was surprised at his conclusion about himself. Like many people, I have a weight story, too. I have gained and lost 40-50 pounds several times in my adult life. I am always keen to read the stories of others. This is a good book! Highly recommend. I received an advanced readers copy of this book from Simon & Schuster via NetGalley. All opinions expressed are entirely my own. Once upon a time there was a young woman named Lucy Baker who lived in a cozy flat filled with knitting projects. A sorceress lived across the street, and Prince Charming disguised as an abrupt businessman lived nearby, waiting to be transformed by the princess. Lucy went to work each day at a toy wholesaler and valiantly worked to please the Queen. A magical cat named Scratbag witnessed all the events in this charming tale. Now, I don’t mean to mislead you- this book is written in the modern day, and is totally contemporary, but it does evoke a certain adorable mood. Filled with madcap moments, earnest thoughts and merry misunderstandings, readers will cheer on Lucy as she deals with George her neighbor and the pursuit of love, her place in her family, and her role at her job. This is a story where nothing really special happens, yet every page charms and delights. From pleasing descriptions, “the willow trunk grew over the water as if the tree was peering from the bank to look at at its own reflection”, to sublime observations, “while Sandra and her eldest daughter reached for the stars, Lucy and her Dad had always been content to watch them twinkle from the ground,” this book will linger with the reader after the last page has been finished. Highly recommend. Two side notes: this book at times had an omniscient viewpoint, interesting. Also, while I know American readers, myself included, adore Briticisms, this book is chock full of them- so be prepared to be lost and at the same time, delighted. Thanks to NetGalley.com and the publisher Avon Books UK for the ARC. This is my honest review. It’s here- the long-awaited sequel and second book in the Timewalker series by writing dynamos Carol Marrs Phipps and Tom Phipps. Look at the gorgeous and compelling cover of this book. (I would have named the book “Wow!”) And “Wow!” is also what I said after I finished reading the book. The idea of “Timewalkers” is a good way to understand this YA Dystopian book. In this story, we are connected to fairy-type beings from the past, hundreds of years before the main events of this book, which takes place in the near-future. And in a particularly wonderful twist, the main characters visit a town 100 years in the past. So, you can see that the authors have created a large and marvelous canvas for this story. My favorite characters from the first book in the series are back in Book 2. LongBark is a female everwaking oak who is the oldest, wisest and most magically potent begin on earth, even more than the head of the fairies, Meri Greenwood. Maxi is a troll barber and friend of Tess’s father, the fairy Kellen Greenwood. The main heroine is Tess Greenwood, who is half fairy and half human. Morrigan, the skinwalker is part of the story, along with her other form, Bart the crow. The evil potentate Pandora and her World Alliance are back, concocting even more evil and ingenious plans to destroy the world, as she waits for the birth of Nia’s baby. The science of their exploits and plots is fascinating. Just as Tess and her loyal band work even harder to persevere against the World Alliance and also try to save Nia, so does the Potentate become increasingly more aggressive and abusive. The book ends in a flurry of adventure that promises an even more exciting Book 3. And yet amidst the evil, is a more thoughtful and loving Pandora revealed in this book? The character development is another reason that this book and series are mesmerizing. There are so many amazing creatures to get to know in this book- it is also entertaining to read the detailed “General Dramatic Personae” that is included. I hope you have read Wham, the first book in the series so you can dive into Then. What an eclectic selection of books. The message of the first book appeals to me. Thanks Jessie! The author is beguiling storyteller and creates a vivid picture of his southern world. Thank you Annika. Jenni Keer’s book is a delight- whimsical characters and a feel-good story. I love books, as you do too, so it’s fun to keep in touch about them! I read one of your three –guess I had better get busy and find the other ones! Thanks for always giving such great reviews. Thank you Beth Ann for visiting my ;little virtual library. I saw some good reviews and books on your site, too!